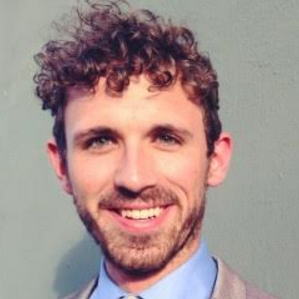 Last month, Nick Stettenbenz was struck in a hit-and-run at the intersection of Market, 16th and Noe streets, one of the city's most dangerous intersections. That Sunday, Stettenbenz, a bartender, had worked a busy brunch shift at Bernal Heights' The Front Porch, then met up with friends at the Lookout in the Castro. He was heading home on foot when he crossed Market Street towards 16th. That’s the last thing he remembers. The driver left him with two fractures to his right calf, bruised ribs, a fractured jaw and a punctured eardrum. He also required nearly 30 stitches to his chin, upper and bottom lips and forehead. Last month, the SFPD told us that an investigation into the hit-and-run was underway, but this week, spokesperson Giselle Talkoff said that there have been no updates in the case. A suspect and vehicle have yet to be identified. Born and raised in Monterey, Stettenbenz, a Noe Valley resident, first moved to San Francisco roughly five years ago. Besides bartending at The Front Porch and SoMa’s Coin-Op Game Room, he's a dancer who has performed with numerous companies in the Bay Area. Over the past year, he's danced with Garrett + Moulton Productions, Palanza Dance, SOULSKIN Dance and Tim Rubel Human Shakes. All of that is now on hold. His family has taken him home to Monterey for the time being, because he requires constant care. His broken bones are expected to heal in two months, and he intends to undergo physical therapy. In June, he hopes to return to work, but he won’t be able to dance for another six months. Stettenbenz is a former employee of Castro restaurant Starbelly, which will be hosting a benefit on Monday to help defray his medical expenses. Ashleigh Adamec first met Stettenbenz two years ago, when they both worked at Starbelly. She was working at the restaurant, which is located at the intersection, the night he was hit. Friends, Starbelly staff and well-wishers are encouraged to attend Monday night's fundraiser, which will take place on the restaurant’s back patio. For a contribution of $35 towards Stettenbenz's recovery, attendees will be able to enjoy pizza, snacks, wine and house-made sangria. If you’re interested in attending Monday's event, email Starbelly's general manager, Tessa Fernandez, at tfernandez@starbellysf.com to purchase tickets. Donations for Stettenbenz's recovery are also being accepted via a GoFundMe campaign.